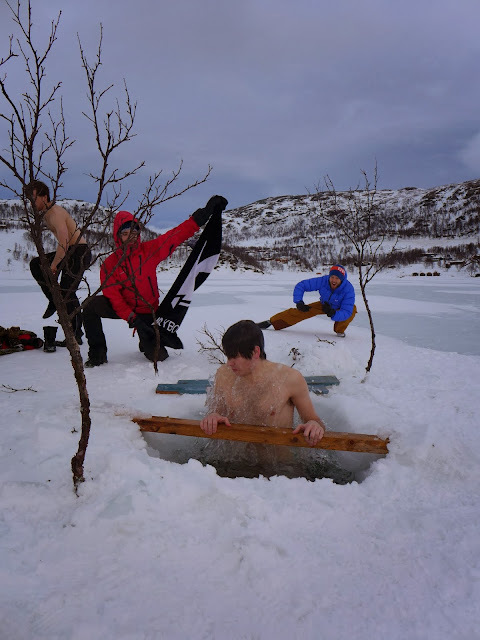 ...the traditional New Year's swim! Hopefully two thousand and fourteen will be just as exciting, even though I have a master's thesis to write this spring. I have a lot of vague plans, but the bigges so far is my family's full-scale invasion of the John Muir Trail (JMT). This will be my first long backpacking trip. We've looked through my father's pictures from his through hike of the JMT in 1981, and I'm expecting it to be pretty spectacular. I'll definitely blog about the hike itself, but you can also look forward to me geeking out planning for the trip. Backpacking trips warm the souls of us poor gear junkies! Even though I have this big trip to look forward to, my New Year's resolution is to create more small adventures. Every weekend is an opportunity when you make it one. On that note, happy new year, and may your next year have as many adventures as the last!